For more than a 74 years, four generations of our family have designed, patented, and manufactured service tools and equipment to help keep the machinery of industry working. Tuxco's wide array of innovative products includes hydraulic system service equipment, hydraulic off-the-road tire service equipment, and military ground support equipment. In 1966, a 13-year-old Oscar Blomgren III found himself machining small parts and tools for Tuxco’s early lines of equipment. It wasn’t until 1972 that he would join Tuxco as Vice President – Manufacturing. 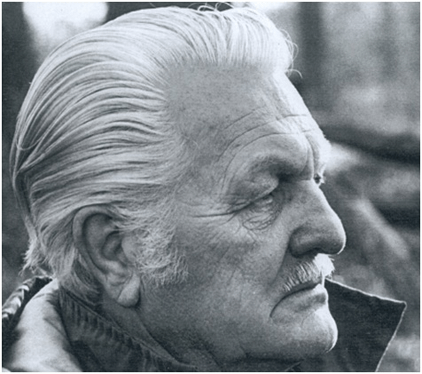 Always fascinated with the engineering/fabrication side of the business, he and his father – Oscar C. Blomgren Jr. – were responsible for the design, development and patent of Tuxco’s Tire Constrictors, Aircraft Hydraulic Fluid Filler/Bleeders, Hydraulic Cylinder Servicers, and countless other specialist applications. Oscar was promoted to Executive Vice President in 1983 and following his father’s retirement, Company President – becoming the 3rd generation of Blomgren Family to run Tuxco Corporation. Oscar can be credited with the continuous improvement of our full line of Hydraulic Cylinder Servicers, as well as the designs of the HCT-3000 Hydraulic Cylinder Tester and CBW-300 Cylinder Barrel Washer. In 2017, Oscar assumed the position of Chairman and now enjoys a reduced role in day-to-day business. Chad began working as a part-time Machinist during 7th grade before joining Tuxco Corporation as a full-time Vice President in 2005. Since then, Chad and his team have quadrupled company sales volume, tripled Tuxco’s workforce, and added three international factory-authorized sales agents. Chad is now the 4th Generation of the Blomgren Family to proudly lead Tuxco Corporation into the future. He received a BSBA degree from Duquesne University in December of 2002, with concentrations in both Marketing and Supply Chain Management. Amy grew up in Pittsburgh and received her BSBA degree from Duquesne University in 2003. In 2008, she joined Tuxco Corporation as an Account Executive focusing on after-market sales. As the company expanded, Amy took on the Sales Manager role and managed both manufacturer’s and inside sale representatives, while actively selling in the North American territory. As Vice President of Tuxco Corporation, Amy now combines sales with accounting and human resources responsibilities. Bringing general shop knowledge and a welding certification, Ray began his career with Tuxco Corporation in 2002. 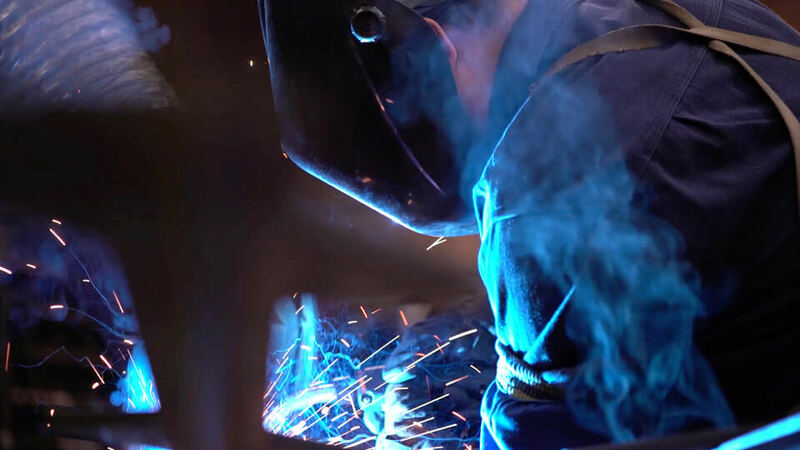 Excelling at cutting steel, grinding parts, milling and drilling, he soon began welding and fabricating Tuxco’s full-line of equipment. Promoted to working Shop Foreman in 2007, Ray oversees all production employees while ensuring every step of production and shipping meets the company’s exacting standards of excellence. Jon began working in production for Tuxco Corporation in 2006 and has been involved in everything from milling, drilling and painting to final assembly and shipping. In 2014, Jon moved into a sales role where he integrates aftermarket sales with customer service and technical assistance. Jon’s extensive knowledge of the business has enabled him to build lasting customer relationships on a daily basis. Cori joined Tuxco Corporation in 2015 as an Administrative Assistant and it wasn’t long before she stepped into the Office Manager position. She keeps Tuxco’s day-to-day operations thriving by managing purchasing, accounting, human resources, and much more. Cori holds a Bachelor’s Degree from the University of Wisconsin – Whitewater, and a Master’s Degree from Chicago’s School of Professional Psychology. Tuxco Corporation was founded in 1945 by Oscar C. Blomgren Sr. and Carrie Elizabeth Blomgren. As World War II drew to a close, it was an opportune time to start a small company that would be dedicated to manufacturing components for the automotive industry. Chicago, Illinois lent a perfect location for such a business with its proximity to large auto manufacturing companies. Combining Oscar’s manufacturing background as an Engineer At Large for the US Army, and Carrie’s business background from her small family business roots, the core foundation for a successful business began to take foot. 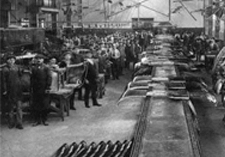 Within a few short years, Tuxco Corporation began to manufacture components for the likes of the largest automotive manufacturers in the United States of America. 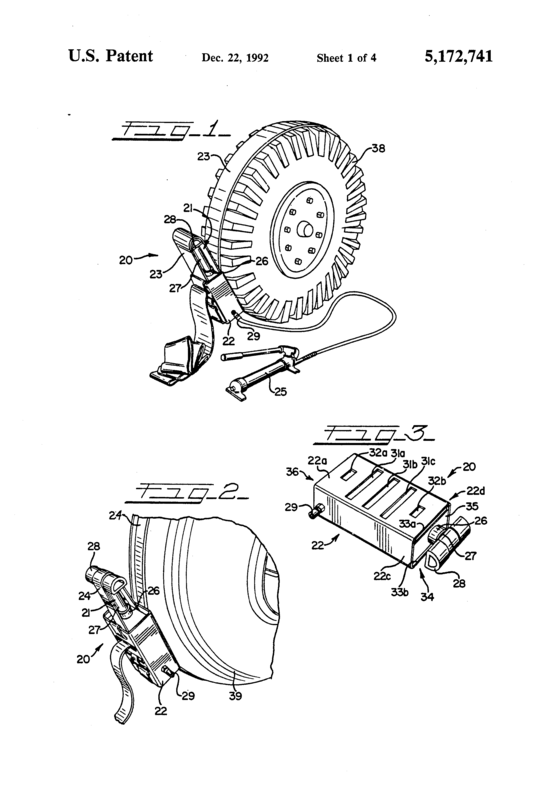 By the end of the 1940’s, in order to grow and expand into emerging markets, Tuxco Corporation began manufacturing tire service equipment that would be sold to the major tire companies of the world. In 1951, the second generation of Blomgren family leadership joined Tuxco Corporation with the addition of Oscar C. Blomgren Jr. A recent graduate of Dartmouth College, Oscar Jr. brought new insight on product development and design, as well as business leadership skills that would guide the company through the end of the 20th Century. Under the leadership of Oscar Jr., Tuxco Corporation would expand into another emerging market with the design and development of a host of tools used in the agricultural service field. Specifically, Tuxco Diesel Fuel Rators, Tuxco Diesel Engine Analyzers, and Tuxco Hydroflators could be found in most farm implement dealers across the country. 1973 brought the third generation of Blomgren family leadership to Tuxco Corporation with the addition of Oscar III. A newly designed product line of Off-The-Road (OTR) Tire Mounting Equipment and Military Ground Support Equipment expanded Tuxco’s product line as well. By the 1000’s, Tuxco continues to produce these quality products to this very day. 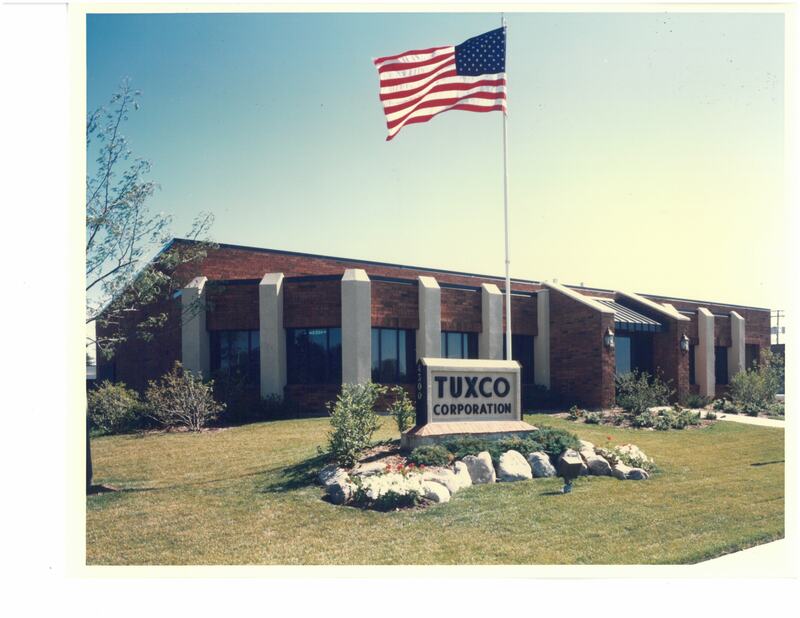 During the 1970’s, Tuxco Corporation embarked on another ambitious design and development project, which would result in producing the world’s best known Hydraulic Cylinder Service Equipment. 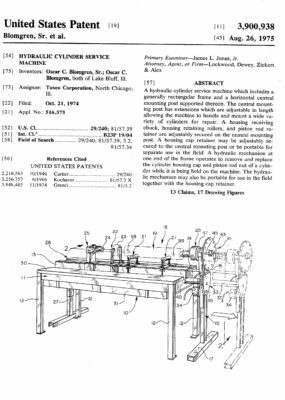 The project was to develop a machine to hydraulically disassemble and reassemble hydraulic cylinders faster, safer, and more profitably than ever. Tuxco’s Hydraulic Cylinder Servicers allowed large equipment dealerships and small independent repair shops, alike, to expand their businesses into servicing large, hard to handle, cumbersome cylinders that they could not service before. Over the next 35 years, Tuxco continued to improve their patented hydraulic cylinder servicer design, throughout three generational changes with the equipment. From the original 10,000 lb-ft servicers, the line of equipment has evolved into equipment that now can provide up to 60,000 lb-ft of available torque to remove stubborn threaded glands and highly torqued piston retaining nuts, with more than eight different models to fit each individual customers’ needs. Most recently, Tuxco has added a turnkey Hydraulic Cylinder Tester and Hydraulic Cylinder Washer to their line of Hydraulic Cylinder Service Equipment. A logical progression in the product line, Tuxco Corporation has become the World’s One-Stop-Shop for all of your Hydraulic Cylinder Repair needs! Emerging markets are discovered all the time, but most commonly, Tuxco Equipment can be found in a wide array of businesses such as largest heavy equipment dealerships heavy equipment manufacturers, contractors, highway departments, public utilities, the US military, mining companies and municipal garages. Exporting internationally for over 40 years, Tuxco is proud to have over 600+ equipment installations in 101 countries across the globe, with equipment found on 6 continents. Tuxco is currently operated by members of the third and fourth generation of the Blomgren family, and is proud of its’ four generation family business heritage, with over 74 years of manufacturing experience. Oscar and Carrie would both be proud. Sole authorized Tuxco Dealer for Europe, Africa, Asia, Middle East, and Australia. Sole authorized Tuxco Dealer for Canada.